The morning fog still clings high on the hillsides but has lifted off the broad mouth of the RussianRiver. Yesterday, this wildlife-rich estuary filled the view from the huge windows of my cliff-side room at the Jenner Inn on a sparsely developed stretch of California’s rugged coast—surprisingly, only an hour and a half north of the Golden GateBridge. Honeymooners and couples celebrating milestone anniversaries check into this century-old inn for the spectacular vistas from its cottage-like guest rooms hugging the river and moonlit soaks in the outdoor hot tubs. Winter brings whale watchers. Wine lovers discover a peaceful, unplugged weekend retreat (many of the rooms lack TVs; there’s Wi-Fi only in the lodge; only Verizon cellphones snag a signal) for touring the many fine SonomaValley vineyards upstream along the RussianRiver. Hikers head to nearby coastal paths overlooking the Pacific or stroll among the towering, old growth redwoods in Armstrong Woods, a short drive upriver. Binocular toting birders risk whiplash. “There are 177 species of birds that migrate through here,” says owner-innkeeper Richard Murphy who has cobbled together a daisy chain of 16 cozy rooms along both sides of Coast Route 1 since buying the place after falling in love with the area during a visit in 1979. After breakfast I discover why. 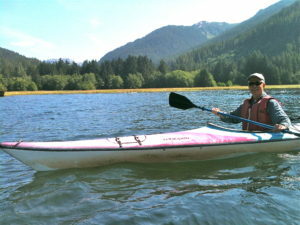 In a rented kayak I’ve paddled into the vista from my Jenner Inn riverside perch, experiencing a very different, water-level view of the vibrant estuary. A gliding brown pelican tucks its wings and dive bombs with a splat. The water geysers nearby. Then again and again, as other big pelicans plummet in search of their breakfast. 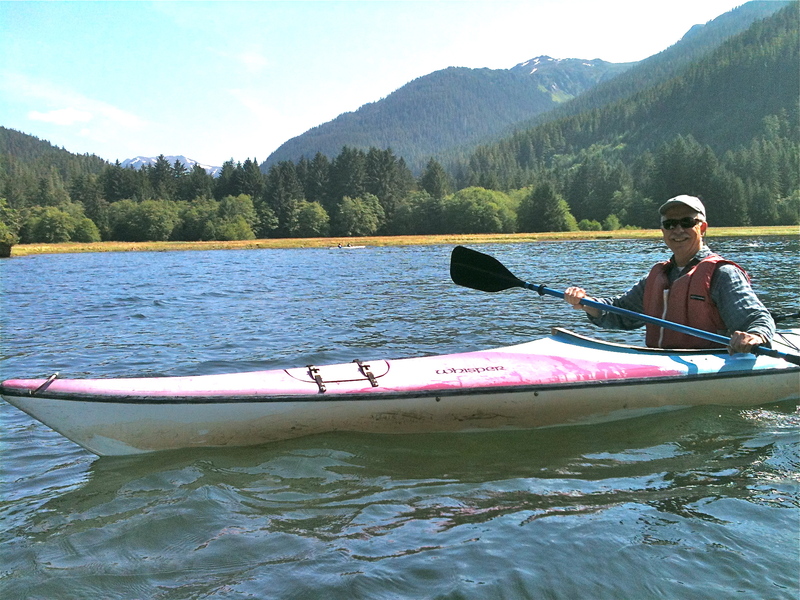 A bit further downstream, nearer the Pacific, several harbor seals steal up quietly, curiously, to within a few paddle lengths of my bright yellow kayak. First one gray head surfaces, like a bowling ball with whiskers. Then another. A watery huff off the stern signals a third. We exchange glances until, one by one, the seals roll and disappear from sight. 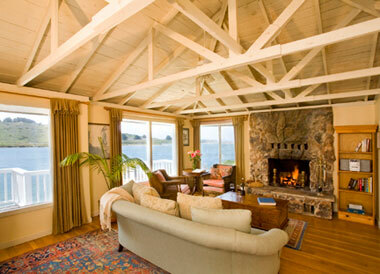 An encore stay at the Jenner Inn? My river paddle surely sealed the deal. Location: Coastal Route 1, 10 miles north of the fishing village of Bodega Bay, where Alfred Hitchcock filmed The Birds. 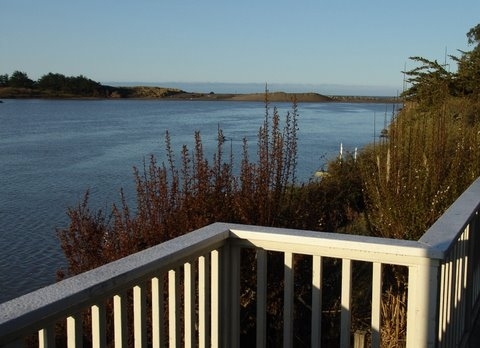 Costs: Rates start at $128 per night for creekside rooms across the road from the estuary. My spacious “studio,” The Lancelot, runs $258. 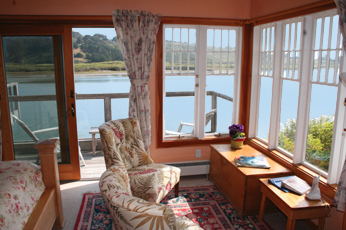 The Rosewater, a one-bedroom cottage with a full kitchen, stone fireplace, and hot tub, offers the most spectacular views of the Russian River estuary and distant crashing waves of winter storms. It goes for $358 and can sleep four. Local Knowledge: Fine dining awaits just a short walk up the road at the River’s End (closed Tuesday and Wednesday out of season), as celebrated for its creative seafood dishes as for its own breathtaking river views. Hitchcock’s birds may have alit en masse in BodegaBay, but, according to innkeeper Murphy, they overnighted between takes in cages behind the Jenner Inn.